The University of Waikato in Hamilton, New Zealand has honoured its former Vice-Chancellor – Queensman Professor Roy Crawford – with an honorary doctorate for his services to education. Born in Northern Ireland Robert James ‘Roy’ Crawford CNZM is a retired university administrator and mechanical engineering academic, whose lifelong primary research interest has been in the mechanical properties and processing behaviour of plastics. A three-time graduate of Queen’s, Roy Crawford earned a BSc (1970), PhD (1973) and a DSc (1987) and turned down a promising football career to become an academic. From 1989 to 1999 he was Professor of Mechanical Engineering and Director of the School of Mechanical and Process Engineering at Queen’s. During this time he established the Polymer Processing Research Centre, which includes the Research Group on rotational moulding of plastics, which he also set up. After two years as Professor of Mechanical Engineering at the University of Auckland in New Zealand, he returned to Queen’s in 2001 where he became Pro-Vice-Chancellor for Research until 2004. 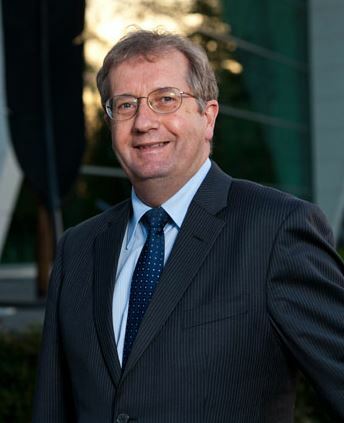 For 11 years (January 2005 to December 2015) Professor Crawford served as Vice Chancellor of the University of Waikato in Hamilton, New Zealand. His main achievements during this time included leading Waikato into the top 50 universities in the world, implementing a research excellence agenda that improved its research capability and overseeing $100 million of campus building and improvement projects. A member of a number of professional organisations he was elected a Fellow of the Royal Academy of Engineering (1998) and a Fellow of the Society of Plastics Engineers (2005). In the 2015 Queen's Birthday Honours Crawford was appointed a Companion of the New Zealand Order of Merit, one of the highest honours in New Zealand, for his work in tertiary education. He has published 8 books and over 300 papers and has been a member of numerous government panels and research grant committees in the UK. Appointed Chief Copy Editor for RotoWorld Magazine in December 2015, Roy and wife Renee live in East Auckland. They have two sons and one daughter. The honorary doctorate was conferred on Emeritus Professor Crawford at a graduation ceremony on Tuesday 19 April. Inquiries to Gerry Power, Communications Officer, Development and Alumni Relations Office, Queen’s University Belfast, telephone 028 9097 5321.